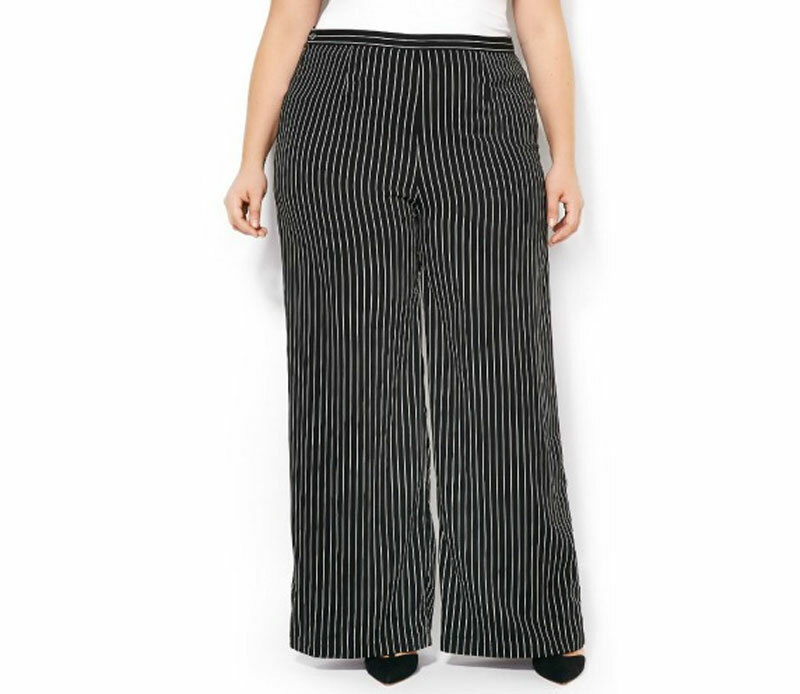 The Best Plus-Size Striped Trousers To Wear This Spring. Photo by Timur Emek/Getty Images. 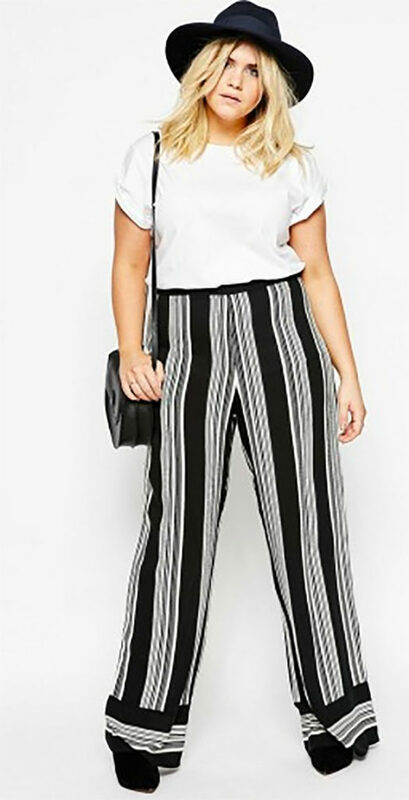 Plus-Size Striped Trousers To Wear Everywhere This Spring. There’s something about these pants that suggest they might belong in the closet of a 1970s rockstar. I love that. 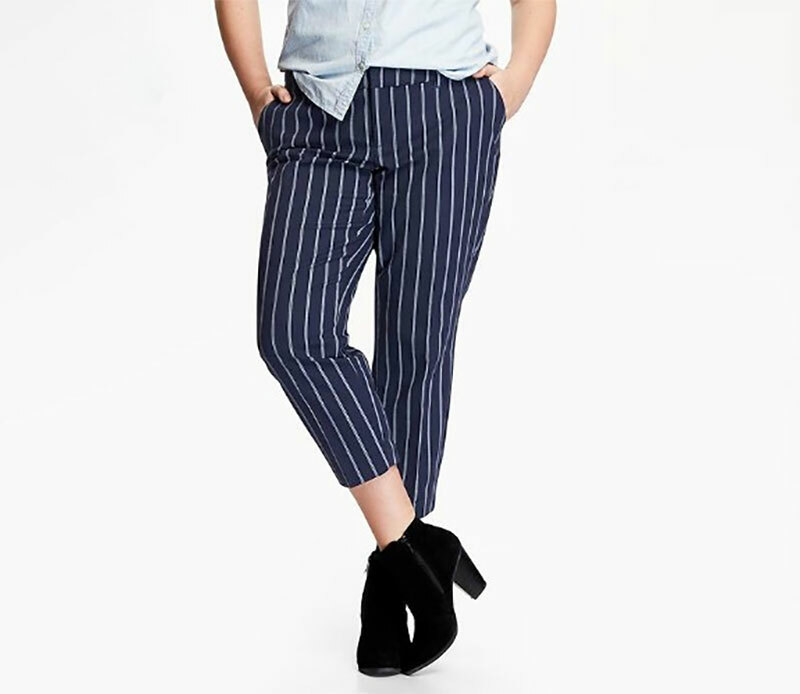 If you’re looking for a striped pattern with a little something extra, this pair of pants from ASOS might be right for you. 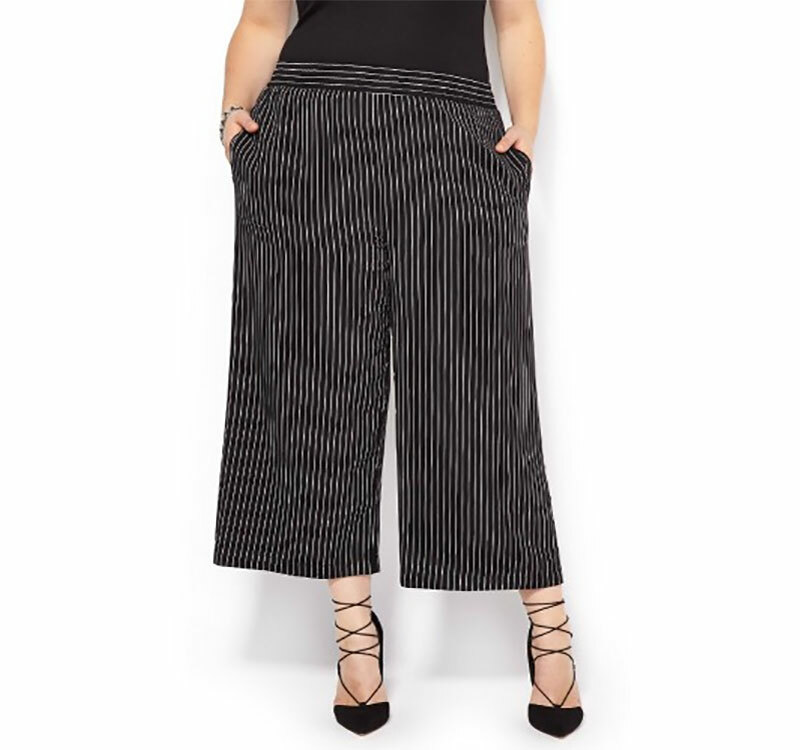 I like that these culottes wear relatively close to the body, and I love that big bold stripe running down the center of the leg. If you’re on the hunt for trousers that are work appropriate and easy breezy, look no further than this pair from Penningtons. 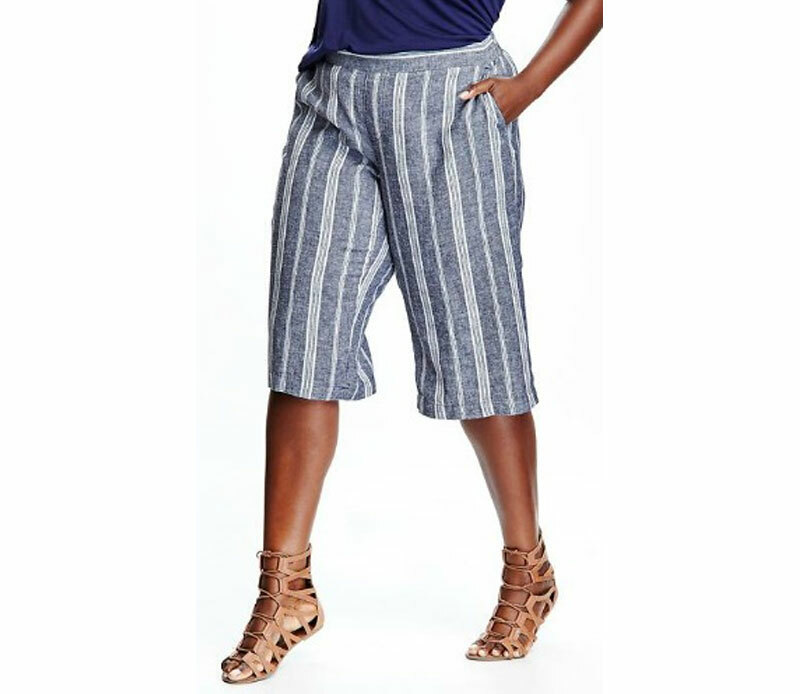 I love the blue and gray colors on this pair of culottes (and the model’s lace-up sandals). 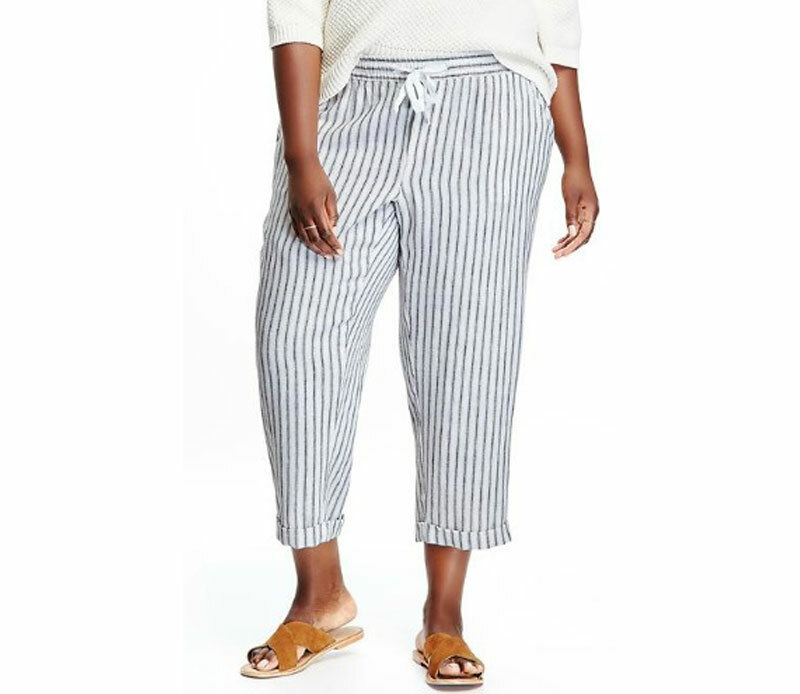 You really need to go to Lane Bryant’s website to get a good, close-up look at these linen pants. I love the pattern—stripes on stripes on stripes!—and the drawstring waist.